Licensed electrician dedicated to providing customers with prompt and professional electrical services from generator installation to trouble shooting. We service both residential and commercial customers. 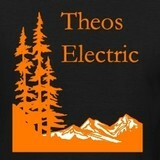 Call our electrician today for a free estimate on your next electric project (530) 265-6362. Mention you found us on Houzz and we will take 10% off! 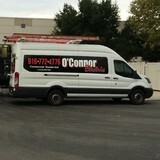 Founded in 1988, O’Connor Electric is family owned and operated by George & Terri O’Connor. We provide new construction, renovation, service, and maintenance throughout the Sacramento, El Dorado, Placer,. In addition to residential clients we serve general contractors, commercial, governmental and industrial clients. Our office has a fully staffed service department so our customers enjoy dependable 24/7 service and maintenance when emergencies arise at no additional overtime cost. Our Employee’s are the cornerstone of our business. We encourage a ''customer first'' attitude, with the up most professionalism one can display. Our priorities include providing a safe work environment with a focus on results. Our goal is complete customer satisfaction. We employ first class, quality certified electricians and provide them with the training, tools and support needed to get the job done. Our employee’s take great pride in their work and we take great pride in our employee’s. We are the professionals you can count on. We have the experience to get the job done. Whatever your electrical needs may be, please give us a call. Let our professional staff help you achieve your goals. You will be glad you did. You can call us 7 days a week and our customer service team will do their very best to help put a smile on your face. And, if you need electrical help on the weekends or after business hours, you don’t have to worry about paying high after-hour rates. Our electrical services cost the same regardless of the day or time because we know that when you have an electrical problem you shouldn’t have to worry about how much it’s going to cost. LFATEC is a specialist in 3 fields... Locksmith work.... Fire Design & Installs.... Alarms for Commercial and Residential. Rewire house for low voltage, CAT 6 and RG 6 Cable. Normal electrical work also 110/120 to 220/240 volt work. Fully licensed & insured, Bear Copper Electric is here for your electric needs. Contact us today for a free safety inspection (831) 800-2233. Whether you need help with an installation or a repair, you can trust an Electrician from Precise Price Electrical, Inc. to get the job done properly. Our company is located in Sacramento, CA, and we're here to assist anyone in the local area. A COMMUNITY RESOURCE We're always happy to answer questions from clients, so you can feel free to reach out to us at any time. If you have a few options to consider, we can share our insights as to what might be the right choice for your circumstances. Count on us to provide honest recommendations, and regardless the situation at your location, we'll send an industry professional who will work hard to give you excellent results. We're proud of the reputation we've been able to build, and the staff we've assembled continually strives to uphold our high standards. 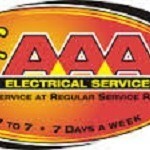 Electrical Service in Sacramento, CA It isn’t hard to find a trusted and affordable Sacramento, CA, electrician when you have the experienced pros at Adapt Technology Electric for all of your electrical service needs. Whatever the size or scope of your project, we’re fully capable to handle the job. With our commitment to integrity of quality work and excellent customer service, you’ll never regret choosing us for your installations and repairs. We have a substantial track record to show it. We know that there are few guarantees in life. But we strive to make our response and effective service something you can always count on. We’re available every day of the week to respond to your needs. At Valley West Electric we take grade pride in our workmanship, reliability, equipment and products to help you get the job done right. Our electrician in Sacramento has over twenty five years of experience in everything related to electrical. No job is too big or too small! We do all kinds of jobs, from kitchen remodels, ceiling fan installs, outlet changes, GFI switches, garbage disposal installs, dishwashers, recessed lighting, attic fans, house fans, home theater wiring and more. Working with electricity isn’t generally a do-it-yourself kind of task. Small jobs, such as swapping out a lightbulb, are safe and easy enough, but intensive electrical work is better left to a professional Pilot Hill electrician. When you consider the things that can go wrong, from fire to serious injury, hiring an electrical contractor seems like a wise investment. If you’re in need of a residential electrician in Pilot Hill, CA to help get your household’s electricity in tiptop shape, read the following information to help you find the most qualified professional for your job. What do licensed Pilot Hill electricians do? An electrical contractor plans, installs and repairs wiring in structures. He or she works closely with the home’s general contractor or remodeling contractor to determine the specific electrical needs for the project and to ensure that the wiring will meet Pilot Hill, CA building codes. An electrical contractor’s job also includes installing and repairing fixtures, switches and other visible components of electrical systems. With today’s technological needs and advances, many electricians in Pilot Hill, CA also are trained to install fiber optic and coaxial cables for electronic equipment. Certain electrical companies may design and install data systems and wire for security features such as alarms too. Some Pilot Hill electrical contractors specialize in specific areas, such as HVAC, low-voltage appliances and systems and more, so be sure to ask about their training to see if it fits your project needs. Find a certified Pilot Hill electrician on Houzz. Narrow your search in the Professionals section of the website to Pilot Hill, CA electrical contractors. Here are some related professionals and vendors to complement the work of electricians: Lighting Showrooms & Sales, General Contractors, Solar Energy Contractors, Heating & Cooling Sales & Repair.